I have a really hard time making decisions. It drives Trever crazy on those nights when he just wants me to tell him if I would prefer Mexican food (the answer is ALWAYS Mexican food) or burgers. I often just say, “whatever you want, honey.”, and it goes back and forth like the vultures from The Jungle Book. “Buzzy: Okay. So, what we gonna do? Flaps: I dunno. What’cha wanna do? Buzzy: Look, Flaps. First I say, “What we gonna do?” Then you say, “I don’t know. What’cha wanna do?” Then I say, “What we gonna do?” Then you say, “What’cha wanna do?” “What we gonna do? What you want…” Let’s do SOMETHING!!! Buzzy: Oh, blimey. There you go again, the same notes again! Ziggy: [Snaps his fingers] I’ve got it! This time, I’ve really got it! Buzzy: Okay, you got it. So what are we gonna do? 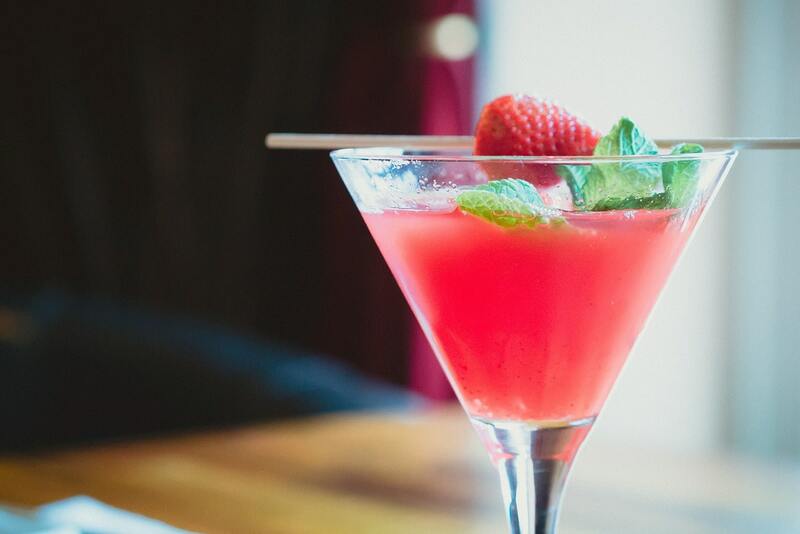 I’m especially terrible at this when it comes to ordering cocktails. I most often make it dealer’s choice and tell the waiter to surprise me – which turns out pretty well . . . 90% of the time. 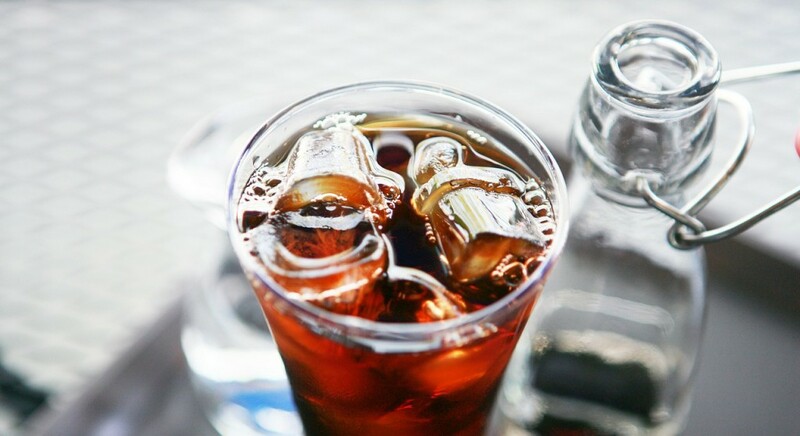 . .
Have you ever tried to stir sugar into a cold drink like tea, iced coffee, or a cocktail? It just doesn’t quite work, right? You go to take a sip and either it isn’t sweetened at all, or you are drinking straight granulated sugar from the bottom of the glass. Simple syrup is how to fix that! Simple syrup is a combination of sugar and water that is boiled until the sugar is dissolved. 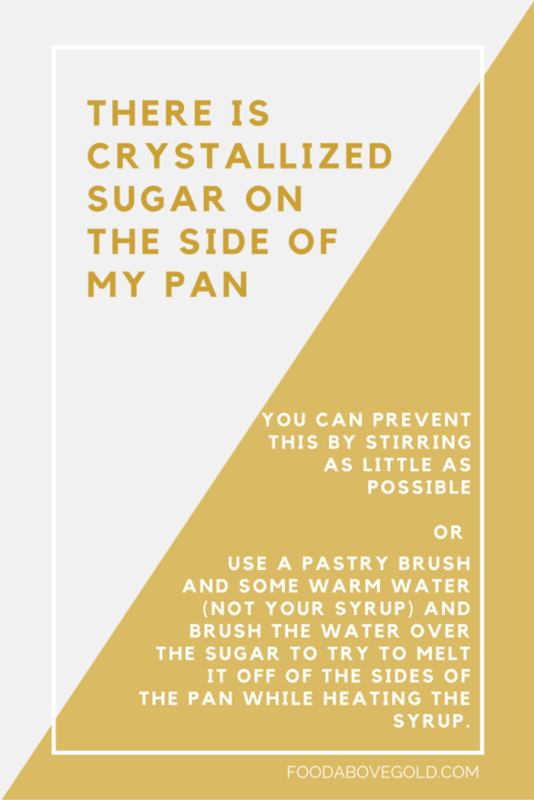 It can also be made without the addition of heat by simply shaking together the sugar and water vigorously until the sugar dissolves. This way usually takes more time, but it can be very helpful for building muscles (at the expense of looking like a shakeweight). Simple syrup is a very useful tool to keep in your arsenal. 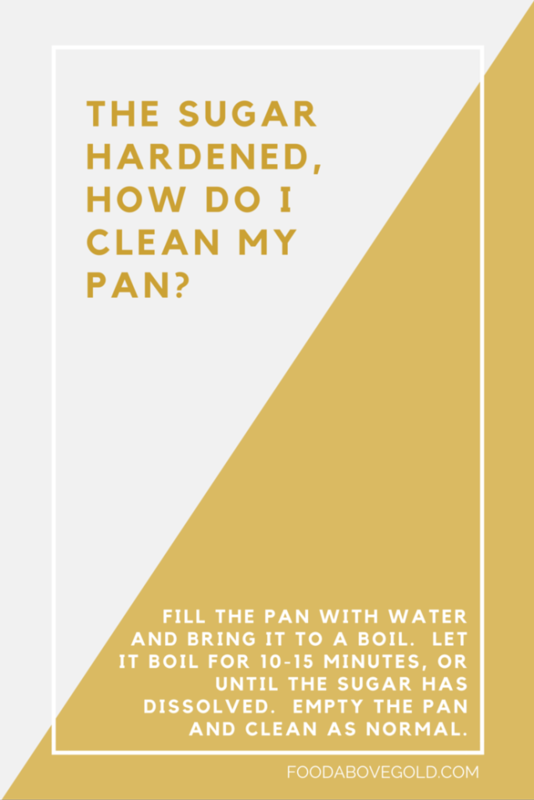 It doesn’t take long to make, but can be used in many aspects of cooking. When measuring for simple syrup, you always want to use equal parts of liquid to sugar. 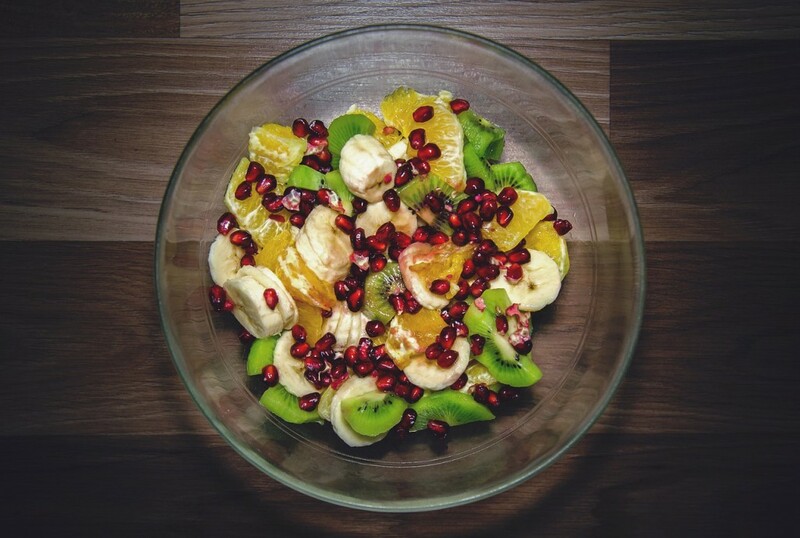 That is most commonly done by measuring volume with measuring cups, but if you want to be as precise as possible (or you are using an ingredient that can be manipulated, such as brown sugar) you will want to use weight. Basic. 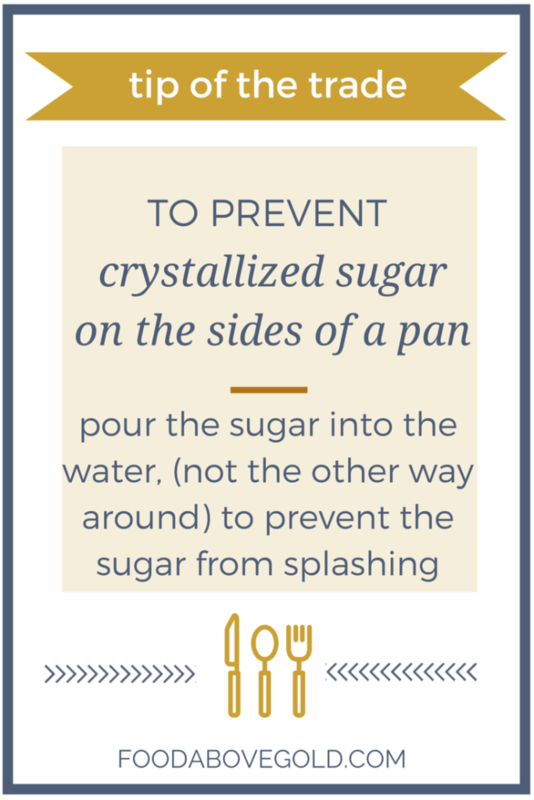 This is the most common method of simple syrup and is done with a 1:1 ratio of water to sugar. This one is favored for most things in the U.S. and is quite sweet. Rich. This one is an extra thick and extra sweet simple syrup that is made by using 2:1 ratio, adding more sugar than water. This one isn’t used often, but packs a lot of punch. Medium. This one is done doing a 2:1 ratio, using more water than sugar. This one is less sweet than the basic simple syrup and is favored more often in the U.K. It is my favorite for making sweet tea. Light (thin). This one is done using a 3:1 ratio of water to sugar. It has just a hint of sweetness to it and is most likely to be used for sealing cakes so they don’t get dry. 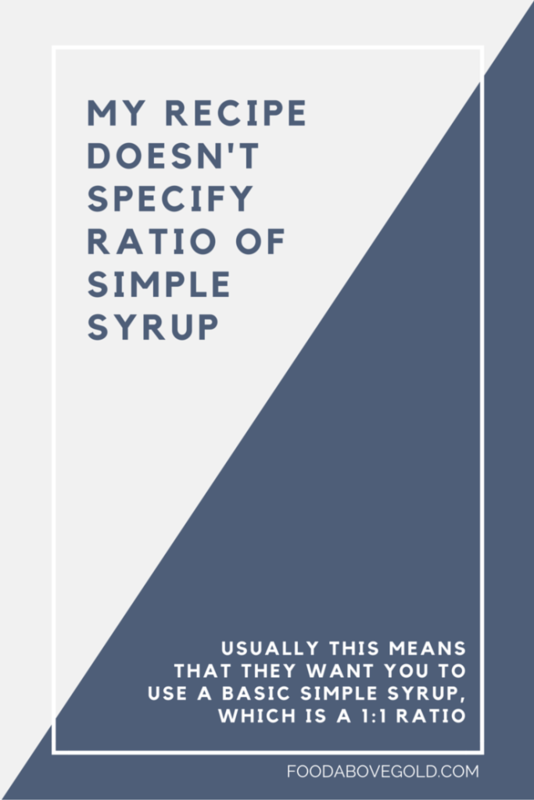 Depending on who you talk to (bartender vs. cook, usually) rich and basic simple syrups are considered the same thing – a 1:1 ratio, instead of the 2:1. If you’re not sure which to use, stick with the basic 1:1, you can always add more if it needs further sweetening. To store your simple syrup after you have let it cool, place it in an air-tight jar in the fridge. Sugar is used as a preserving agent in many things, like jams and jellies. 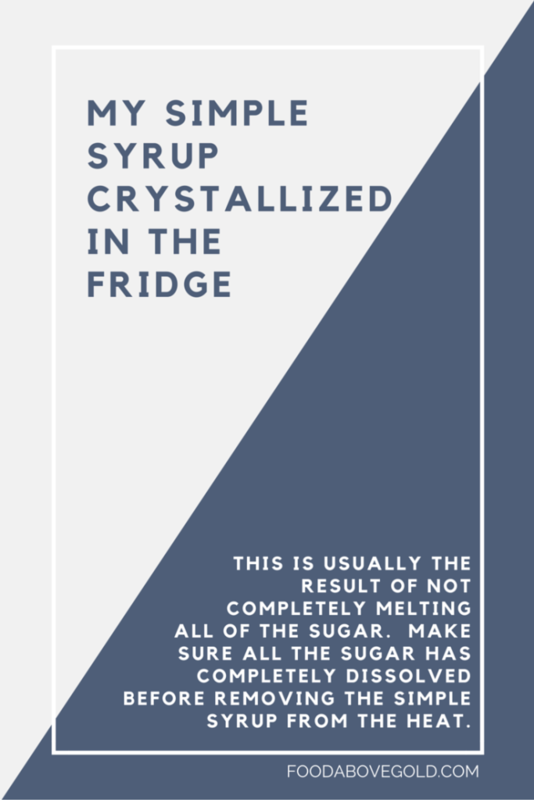 Just the same, the sugar in simple syrup helps prolong its shelf-life, but it’s shelf-life is still shorter than most people would think. 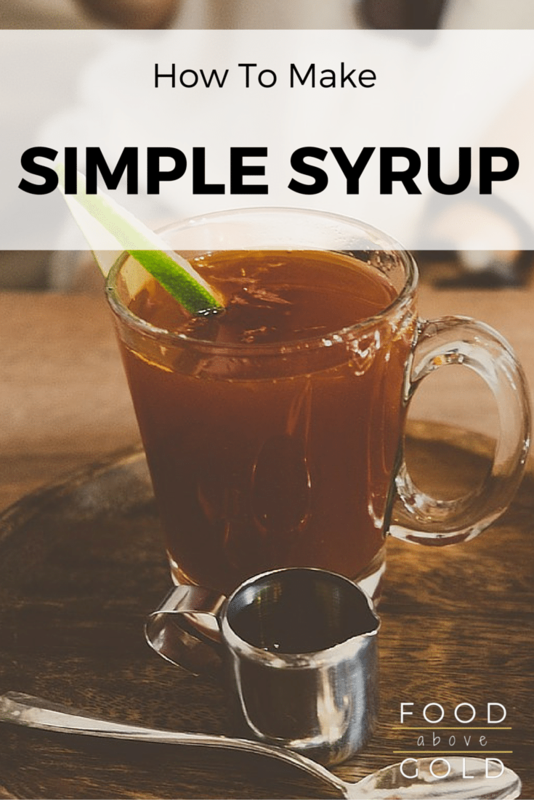 Simple syrup easily picks up the flavors of the fridge, and believe it or not, can mold, just like any other food, so only store it for up to one month. Make sure to write the date of the day you made it somewhere on the jar (I usually use a piece of masking tape on the bottom), so you know when it is time to throw it out. Do you play drink roulette? What is your favorite way to use simple syrup?